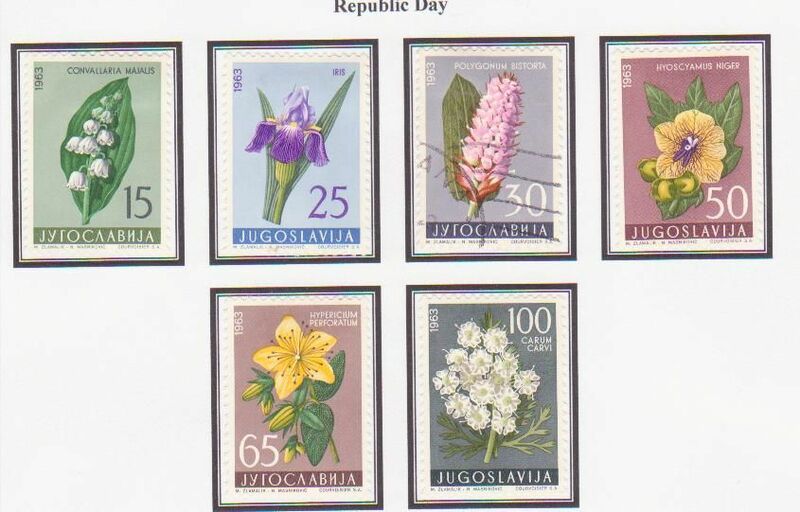 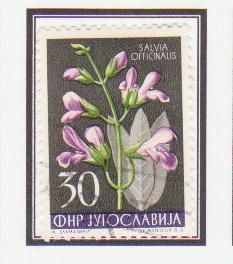 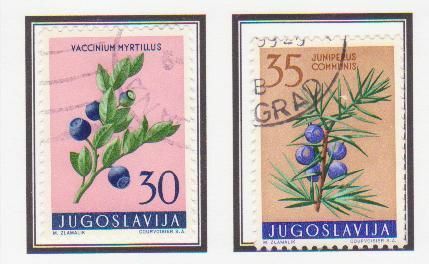 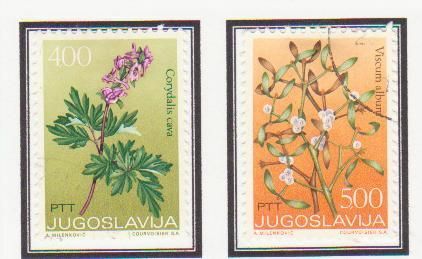 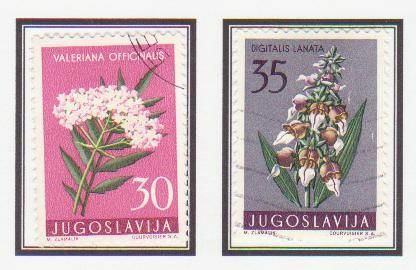 From 1959 to 1973 Yugoslavia issued a large number of stamps depicting medicinal plants, of which these are a long way from being all! 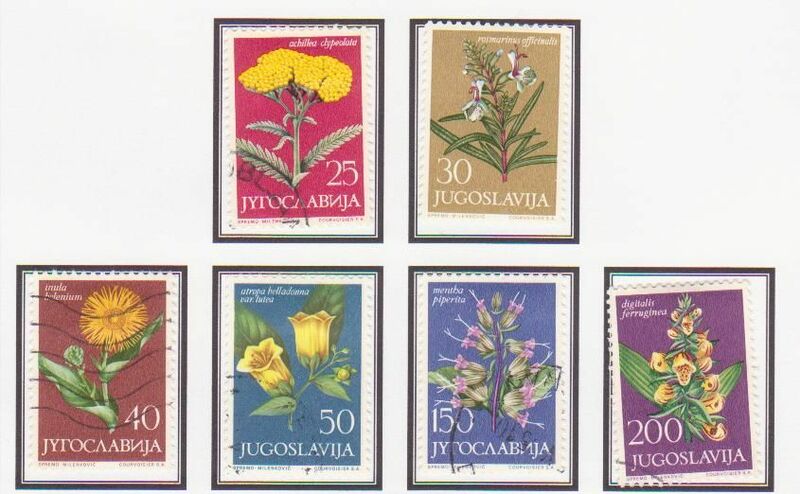 Remember to tell your children not to swallow these stamps, and to wash their hands after touching them! 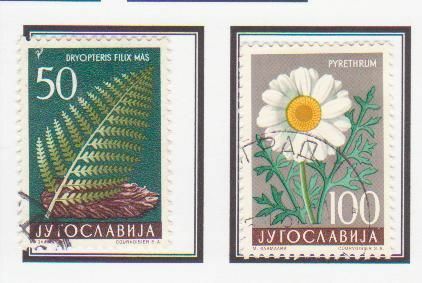 I think the names on these should be legible;but if you want to know one and can't read it, let me know and I will label it. 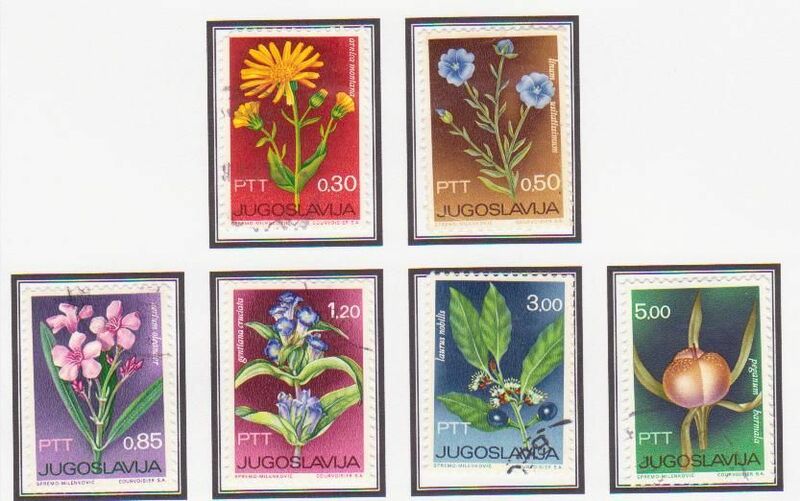 This is an interesting topical that I wouldn't have thought of.